NOTE: Al Dente Express is my answer for what to do when I want to talk about a place or places I visited, but it doesn’t warrant a full-on, exhaustive review. Here is a wrap of two remarkable sandwiches from New Orleans. By definition, a muffaletta is a type of seeded Sicilian bread that resembles a foccacia. In 1906, it took on a new meaning when Central Grocery in New Orleans stuffed the bread with ham, salami, mortadella, provolone cheese, and olives steeped in oil. When you walk into the grocery on Decatur Street, you are immediately corralled into a line. Locals shopping for imported Italian products utilize the same line for checkout. You step to the counter, order your sandwich (or bowl of olive salad or stuffed artichoke), pay and move on. A small room with stools and countertops offer space to eat on site. What separates the muffaletta from the sandwich that my grandmother or father might make is the prep time. Yes, slapping some meat and olives on a loaf of bread does not take up a lot of time. Letting it stand while tightly wrapped in wax paper and plastic wrap, so that the olives and oil permeate the crusty bread makes the sandwich special. My muffaletta half constituted one of the largest sandwiches I’ve ever consumed. And it was glorious. It was so good that I bought a bottle of olive salad to bring home. It’s sold at the counter, wrapped and boxed for travel. I may share it with The Wife. I may grab a loaf of bread, hide in the basement and eat the jarful myself. It depends on how the day goes. 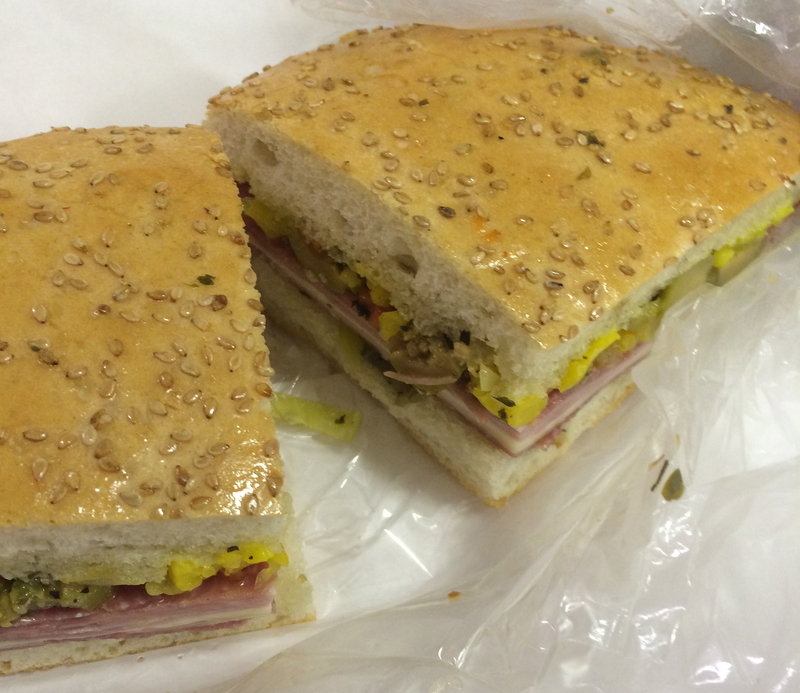 Digressing, every little sandwich shop on Decatur Street claims to have a muffaletta. That’s nice. But, when you go to New Orleans, you have the copycats and the originals. You go to Pat O’Brien’s for the hurricane, Cafe du Monde for beignets and Central Grocery for a muffaletta. Let the others do whatever it is that they do. You eat lunch the right way. 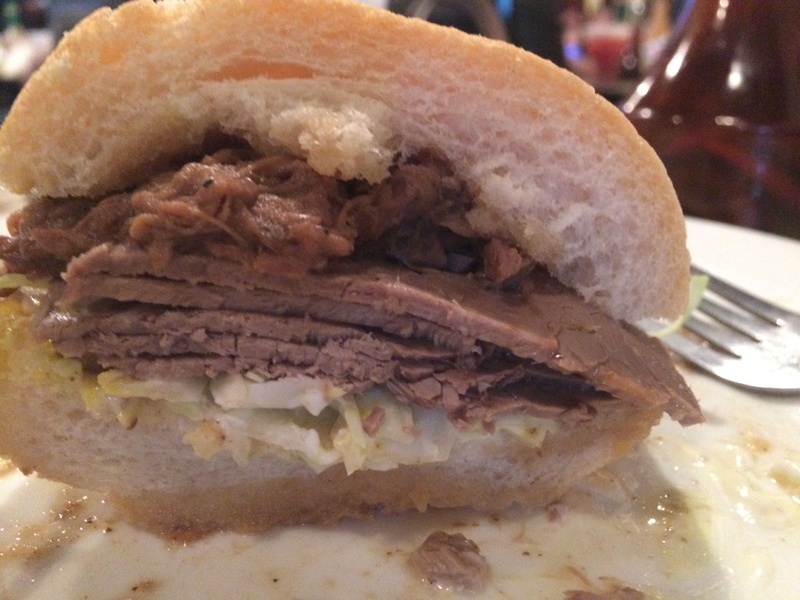 The text message from my friend Mike was simple: “If you make it to New Orleans, get to Mother’s for a roast beef poboy.” Mike doesn’t often implore me to do things, but I tend to listen when he does. As a former resident of The Big Easy, he carries some credibility here. Mike never steers me wrong. Mother’s Restaurant would be the last New Orleans food we consumed before getting out of town. The line out front of Mother’s on Poydras Avenue was about 25 minutes long. We were punching a clock, having to meet an airport shuttle in 90 minutes, but decided to give it a go. 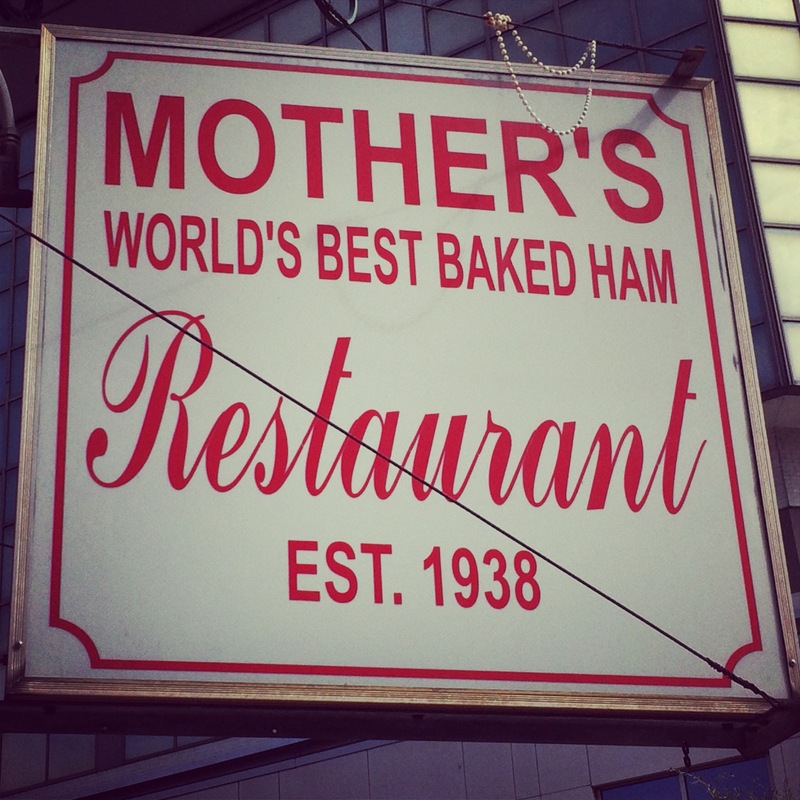 Mother’s serves breakfast all day and brags that it roasts more than 175,000 lbs. of roast beef and ham each year. Judging by what the waitstaff delivers to the table, waffles, red beans and rice, and turtle soup are also popular choices. But, I was there with orders. Po’ boys come dressed — shredded cabbage, pickles, mayo, and yellow and creole mustards — and in the whole or 2/3 varieties. Meat versions include the original Famous Ferdi with ham, roast beef, debris and gravy (debris is the pieces of beef that fall off the roast while cooking; gravy is an au jus), turkey, ham, roast beef, various combinations and a straight debris po’ boy. Seafood choices, which are dressed with mayo, cabbage and pickles, include shrimp, oyster, catfish and soft shell crab. While I’m partial to the soft shell, I and one of my dining companions had the roast beef, while The Boss ordered the Famous Ferdi. 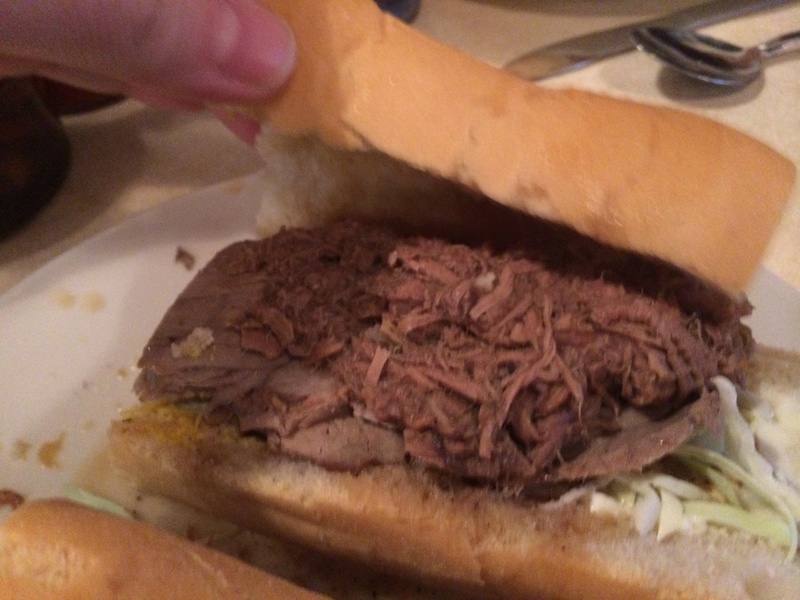 My whole version had close to a half-pound meat — more thin-sliced roast beef than debris — and was served on a slightly-soggy french bread roll. The wetness is fine, because you want that gravy. There’s something about the flavors of gravy, mayo and mustard all mixed together. The two-thirds proved to be too much from my roast beef friend, and I ended up eating half of her’s. Was it a work of art? Not by any means, but this isn’t art gallery food. It’s a sandwich that is so good that you don’t want to wash your hands afterwards, just so you can keep the smell of gravy on your fingers for the rest of the day. Central Grocery is located at 923 Decatur St., in the French Market District in New Orleans, La. They are open Tuesday through Saturday from 9 a.m. to 5 p.m.
Mother’s Restaurant is located at 401 Poydras St. at Tchoupitoulas in New Orleans’ Central Business District. They are open seven days a week from 7 a.m. to 10 p.m.